The last wedge has been broken, so there was a massive bullish rally. Finally, the price faced a resistance at 1.2911, so we’ve got a “V-Top” pattern here. 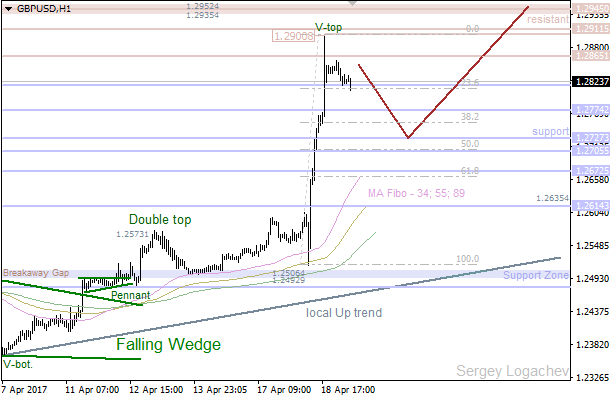 In this case, the pair is likely going to achieve the nearest support at 1.2774 – 1.2727. 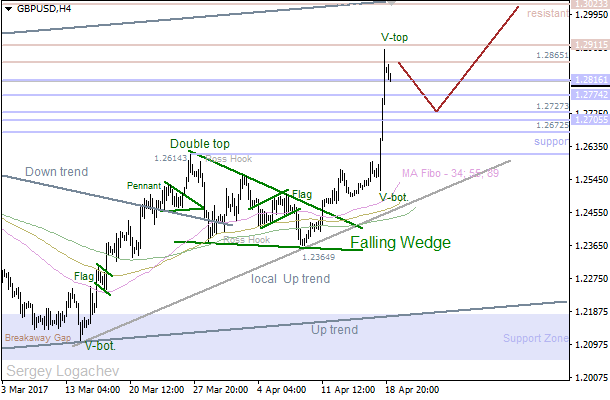 If we see a pullback from this area, there’ll be an opportunity to have another upward price movement towards the next resistance at 1.2911 – 1.3023. There’s a “V-Top” pattern, so the price reached a support at 1.2816. However, bears are likely going to test the next support at 1.2774 – 1.2727 during the day. If a pullback from these levels happens, bulls will probably try to deliver a new local high.